Nadine Lustre admits she was both shocked and surprised by the announcement. 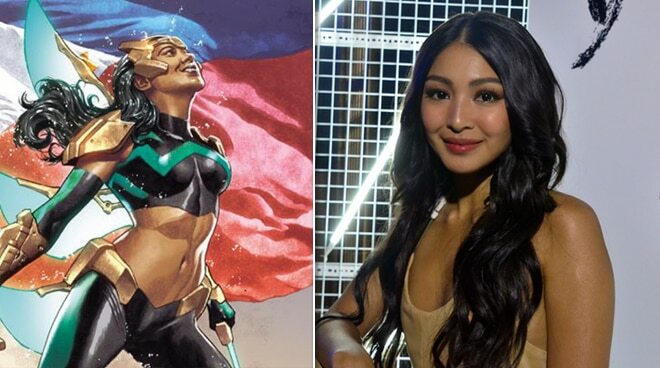 After Marvel announced that it was introducing its first Filipina superhero named Wave in the comic The War of the Realms: New Agents of Atlas #1 which will be released in May, cover artist Mico Suayan admitted via his personal Facebook page that he actually patterned the Pinay character after Nadine Lustre. The singer-actress admitted she had no idea about the comic. “Oh my God, I was surprised. I was shocked when I read that the first time. It was actually one of my friends who showed it to me. It’s really flattering and it’s such an honor kasi we all know Wave is the very first Filipina character in [Marvel] so it’s an honor and I’m really grateful,” she said during the Skechers X Bang fashion show in Taguig city.